Stung By 83 Different Insects, Biologist Rates His Pain On A Scale Of 1 To — OW! Biologist Justin Schmidt has traveled all over the world looking for bugs ... and getting stung by them. He documents his travels/travails in his new book The Sting of the Wild. 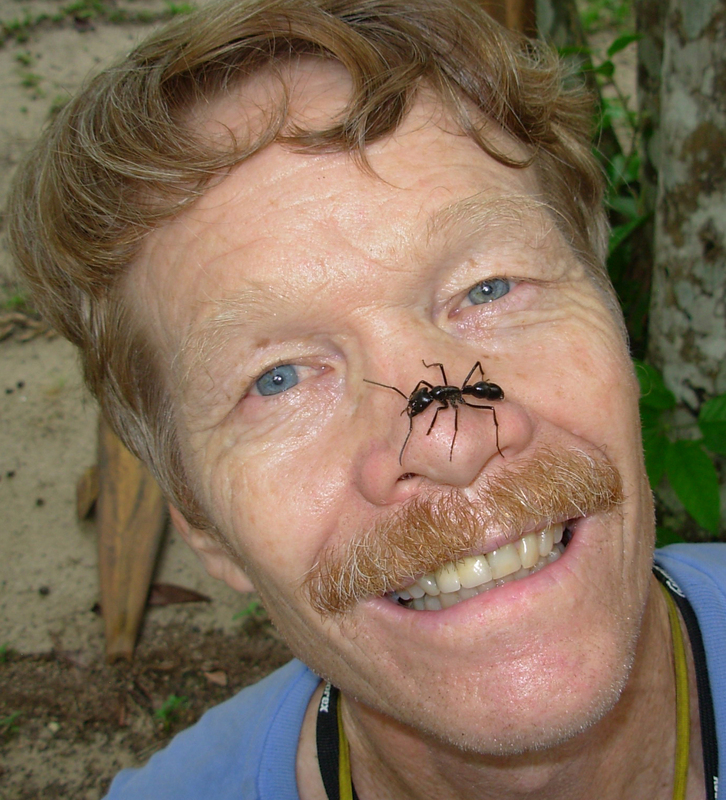 Stung By 83 Different Insects, Biologist Rates His Pain On A Scale Of 1 To — OW! 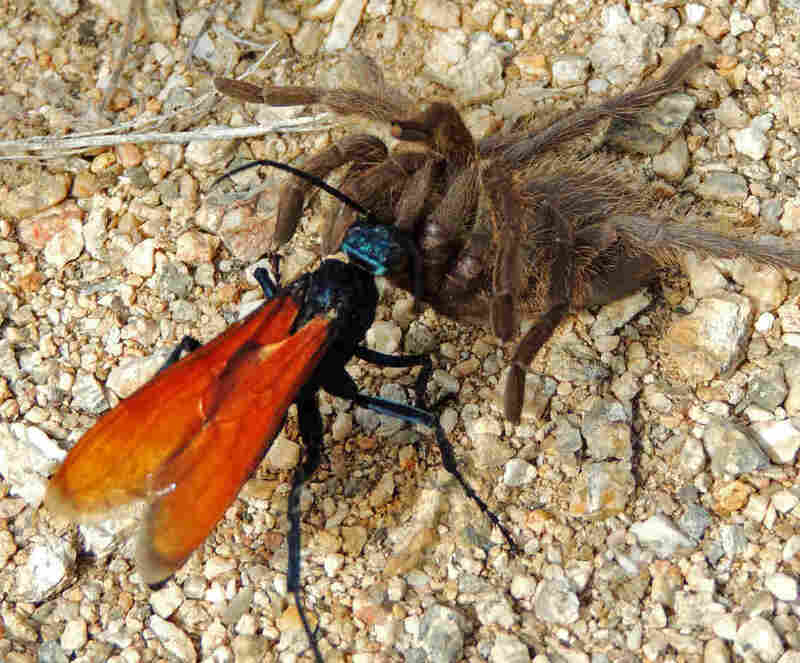 The tarantula hawk is actually a large wasp. If you are ever stung by one, Schmidt says the best thing to do is to just lie down and scream: "The pain is so debilitating" and "screaming is satisfying," he advises. If you think your job is painful, try spending a workday with Justin Schmidt. Schmidt is an entomologist who focuses on a group of insects called Hymenoptera — we know them as stinging ants, wasps and bees. "King of Sting" Justin O. Schmidt is a biologist at the Southwestern Biological Institute. A "connoisseur of pain," he has ranked 83 different insect stings on a pain index based on his own experience. Schmidt has traveled all over the world looking for bugs ... and getting stung by them. The result of his work is an alarmingly comprehensive pain index, ranking 83 insect stings on a spectrum of 1 to 4. 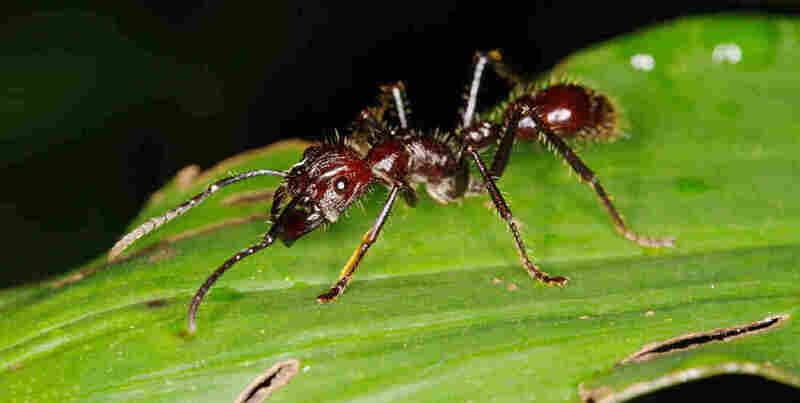 For example, the red fire ant, native to South America is a 1: "Sharp, sudden, mildly alarming," Schmidt writes. "Like walking across a shag carpet and reaching for the light switch." 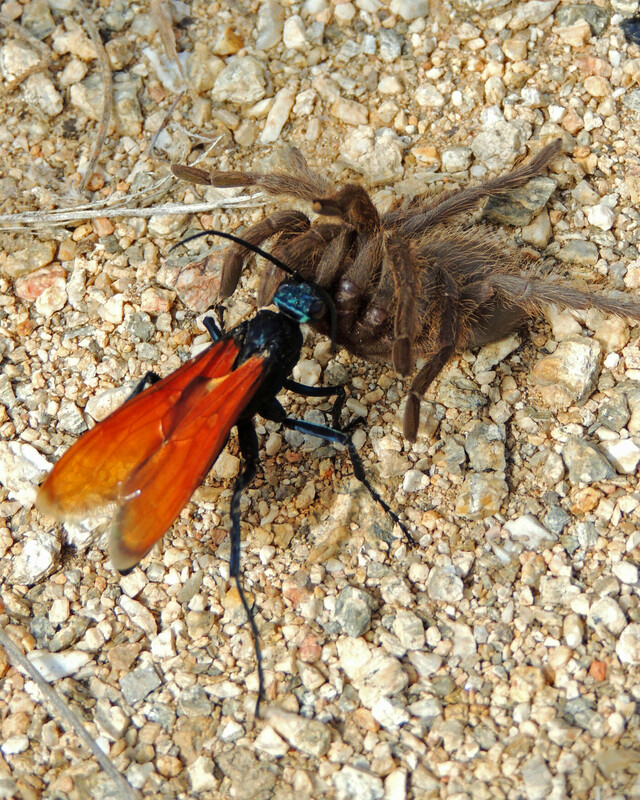 Far worse is the tarantula hawk, which clocks in at a 4: "Blinding, fierce, shockingly electric. A running hair dryer has just been dropped into your bubble bath." As for whether he wants to be stung, Schmidt says "want" isn't quite the right way to put it. "Want is kind of a dual word," he tells NPR's Linda Wertheimer. "I want the data, but I don't want the sting." 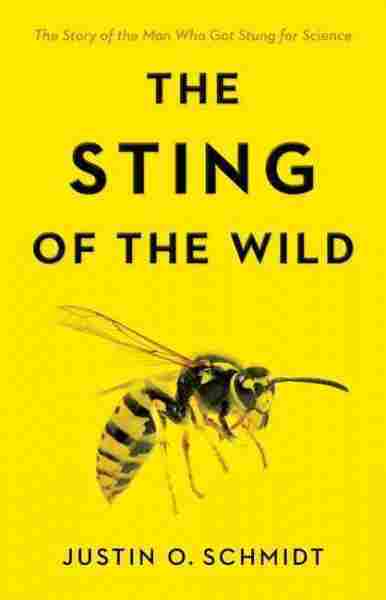 Schmidt has written a book about his travels (and travails) called The Sting of the Wild: The Story of the Man Who Got Stung for Science. These things are about 2 inches long — they're huge, absolutely enormous. And I was so worried about getting stung by those that I actually succeeded in doing a really nice couple of studies on them and never got stung. So I guess you could say that was disappointing in the respect that I'm missing a very valuable data point, but I'm also still in tact. Bullet ants are wonderfully beautiful organisms. They live going from Nicaragua down to about southern Brazil. They live in the forest and nest usually on the bottom of the forest floor. But they go up into the canopy, way, way up into the top of the trees and that's where they forage for prey. They're black and very stocky looking — you look at them and you say: That's kind of like a dinosaur, that's a very primitive looking ant. But, boy, don't let that deceive you because these ants are really, truly acrobats. You often think of big ants as being sluggards and slow ... don't make that mistake with bullet ants. Schmidt calls the bullet ant the "holy grail of stinging insects." He ranks its sting as a 4 out of 4: "Pure, intense, brilliant pain. Like walking over flaming charcoal with a 3-inch nail embedded in your heel." They have the most toxic known insect venom. It's really potent — something like 40 times stronger than a Western Diamondback Rattlesnake. The good news, of course, is that they have very little of it. They have this extremely long, lasting pain. They're the only insect sting venom that causes the hair on your arm where you've been stung to stand up kind of like the hair on the back of a dog's neck when it's frightened. And it causes sweating. These are all kind of neurological things which are unique to it. It's got very complex biochemistry that still, after 35 years, we have lots of mysteries left to discover with them.